← Extracting selected data with array functions. 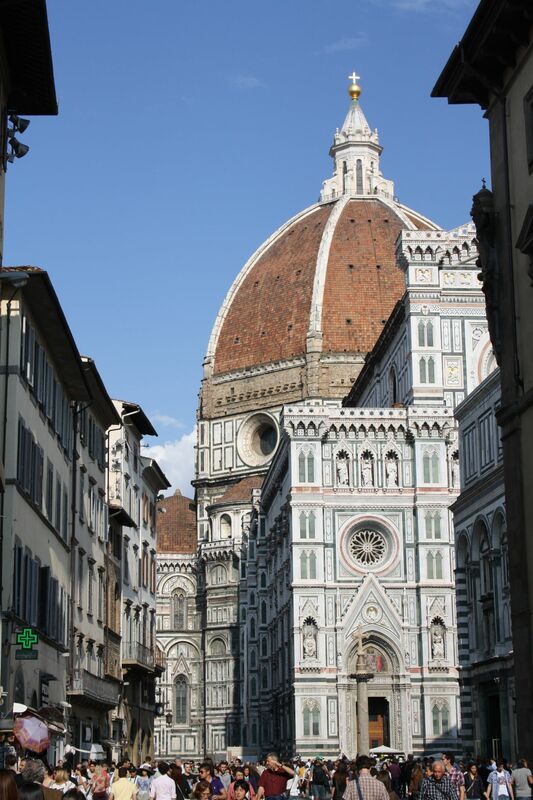 The dome of the Santa Maria del Fiore was the first dome structure of that size built since the Pantheon in Rome (126 AD) and the Hagia Sophia in Constantinople (537 AD). Some sources say it is a little larger in diameter than the Pantheon, some a little smaller, it depends how you measure it. It is an impressive structure that still dominates the city skyline today. 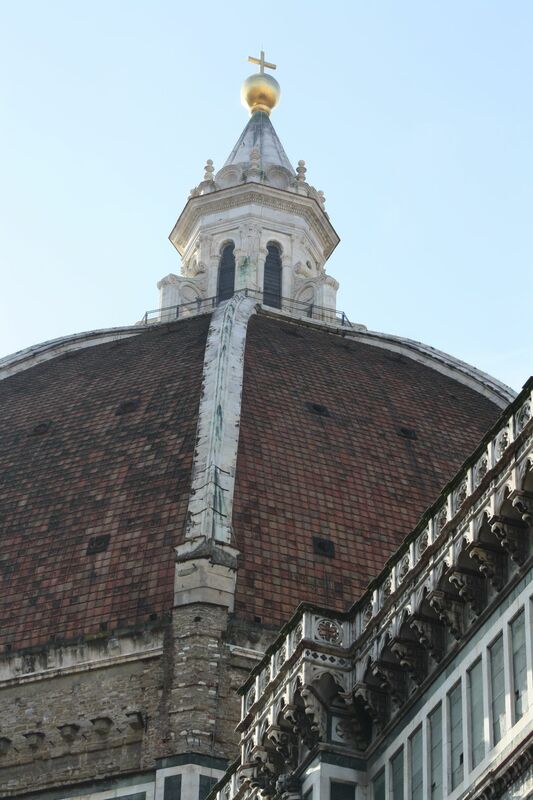 A wooden form had held the Pantheon dome aloft while its concrete set, but for the height and breadth of the dome designed by Neri, starting 52 metres (171 ft) above the floor and spanning 44 metres (144 ft), there was not enough timber in Tuscany to build the scaffolding and forms. I can well imagine the architect (Filippo Brunelleschi) saying this to a troublesome government official to make him go away, but if he had been told that 600 years later this statement would be reported as fact around the entire World, I suspect he would have been dumfounded. In this post I will link to some sites that seem to give reliable information (albeit sometimes in rather “picturesque” English), and to a full panoramic display of the view between the two layers of the dome. In later posts I will look at finding the true geometry (from photographic and Internet sources), and will construct a computer model, which time permitting, I will analyse to look at how the stresses in the structure were affected by the chosen geometry and construction method. 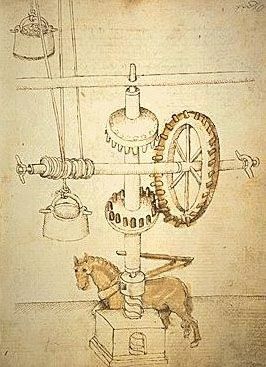 The book Brunelleschi’s Dome: How a Renaissance Genius Reinvented Architecture gives an account of the construction of the dome, involving invention of new machines, delay by wind, war, and a dissatisfied workforce, and imprisonment of the architect for bankruptcy. 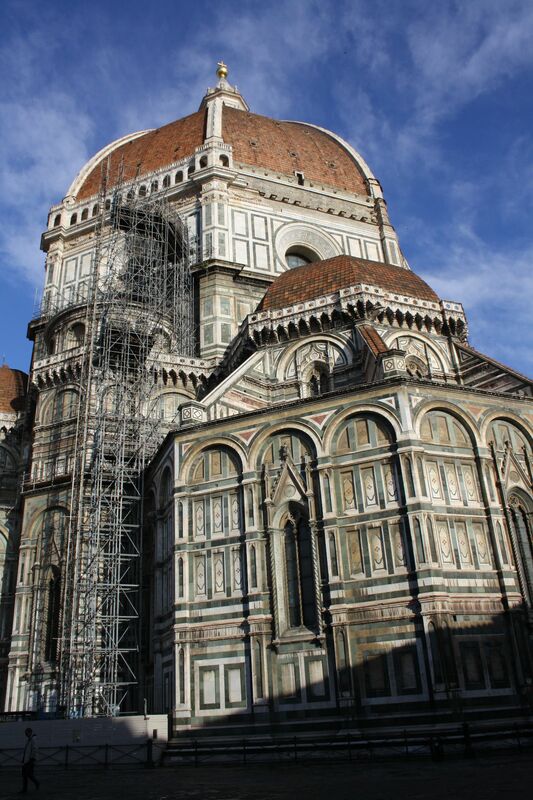 A detailed summary can be found at: Brunelleschi’s Dome. 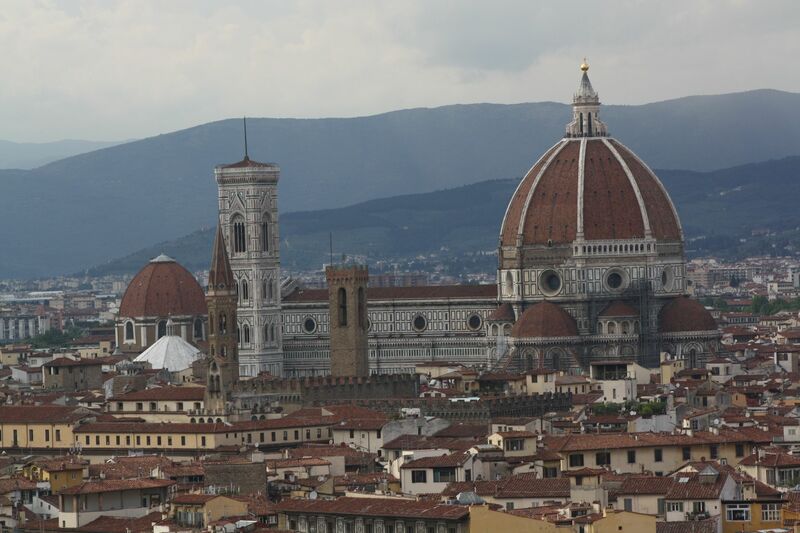 The Great Dome of Florence gives an account of the construction in a wider context, containing many excellent photographs (it does however repeat the story that erecting scaffolding for the dome construction would have required the deforestation of the whole of Tuscany, a persistent myth it seems). DOME STRUCTURES: provides some information on how the geometry of the dome was determined, although the language is hard to follow at times (I thought it was an English translation of an Italian original, but it seems that it comes from the McGill University Philosophy of Structures department; that would explain it). Finally 360cities.net provides the best view of the inside of the dome (between the two shells) that you will get without actually going there. 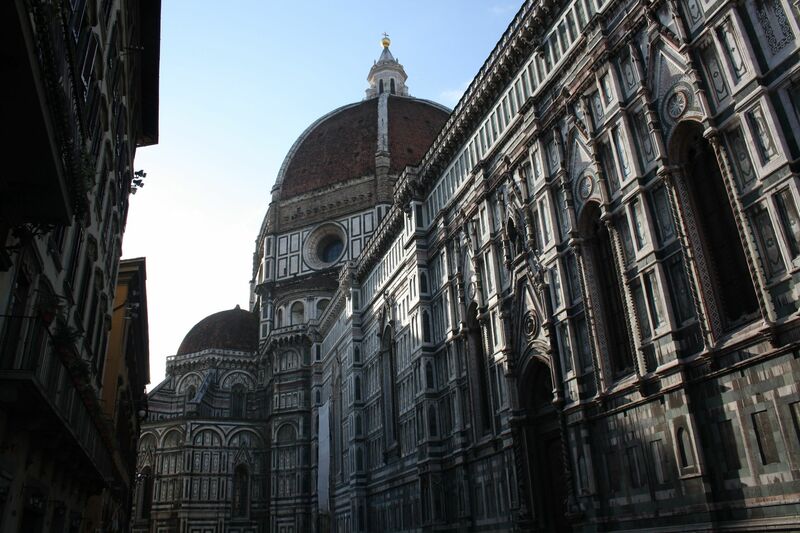 This entry was posted in Dome Structures, Newton and tagged Brunelleschi, Dome, Duomo, Florence. Bookmark the permalink.